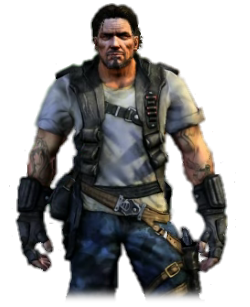 And speaking of heroes who have redeemed themselves, here we have Jim Raynor, who starts out as a bit of an anti-hero in the original Starcraft and into a bona fide one. Jim Raynor is your typical Wyatt Earp character - a lawman that dispenses out frontier justice. He is also very modest and loyal to his friends, although only to a point (SPOILERS AHEAD) as evidenced by when he decides to kill Tychus Findlay. The question is, why did he kill Tychus? Was it because he was so in love with Kerrigan that noone would get in his way or was he listening to the logic of an old friend, Zeratul, by realising Kerrigan was the only hope for the galaxy? Or maybe a bit of both? Even though Raynor doesn't show it, I'm sure he feels some regret in taking his old friend Tychus out but regardless, isn't this what defines a true hero? It is if you go by utilitarian ethics as Jim is sacrificing the life of his friend for the greater good of the galaxy. But then wouldn't that also make Arcturus Mengsk a hero as well? The fact that these questions are raised, that Raynor is a complicated character, is probably the major reason, more than anything else, that Raynor gets in at #6. He is the fallible, imperfect hero, an anti-hero of sorts, that has to make some unpopular decisions in order to get things done. There is also irony in that he has to kill one friend to ensure the return of another, one he left behind on Tarsonis, many years before.